The PCIe riser that installs in PCIe slots 3 and 4 is different than the risers in PCIe slots 1 and 2. 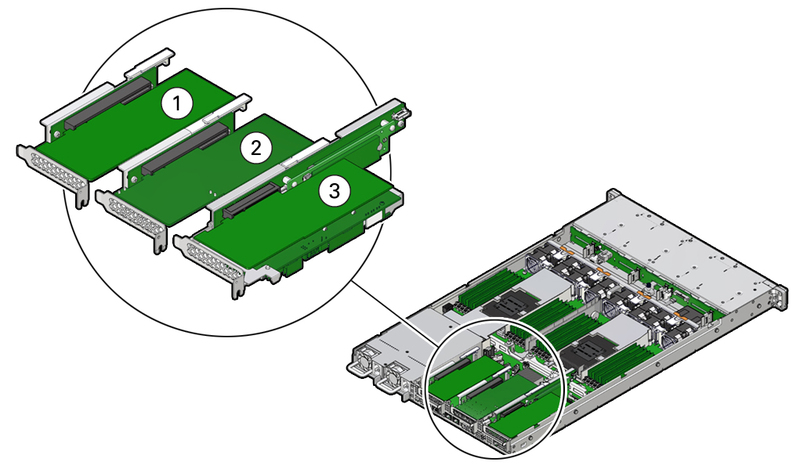 The riser for slots 3 and 4 supports an M.2 mezzanine and two PCIe cards: a standard PCIe card and the internal HBA card. Do not attempt to install the PCIe riser for PCIe slots 3 and 4 in slots 1 or 2, and vice versa. Note - This riser is different from the risers in slots 1 and 2.